Archaeologists in Israel have uncovered a prehistoric ‘paradise’ dating back half a million years. 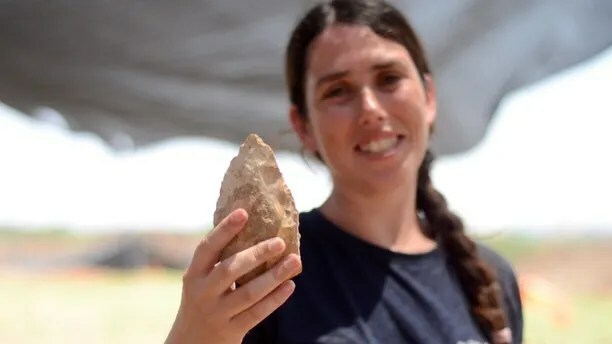 Experts from the Israel Antiquities Authority and Tel Aviv University have been excavating the site at Jaljulia in Central Israel in recent months, unearthing hundreds of flint hand axes. 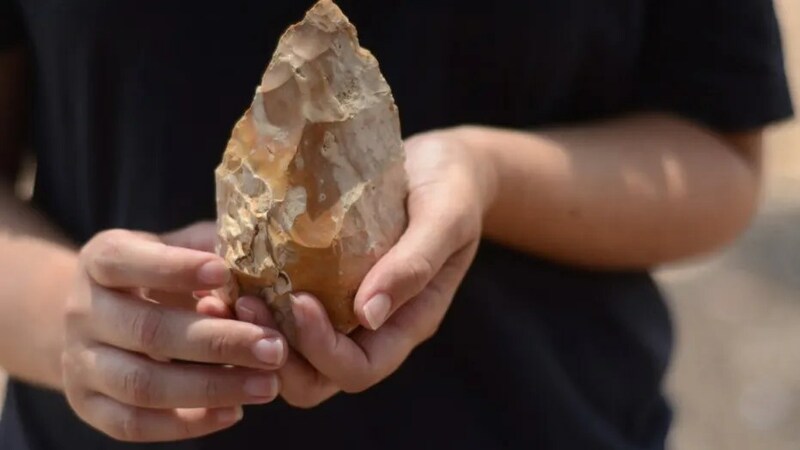 Archaeologists say that the site, which is on the banks of an ancient stream (now flowing about a third of a mile to the south), was rich in vegetation and herding animals. 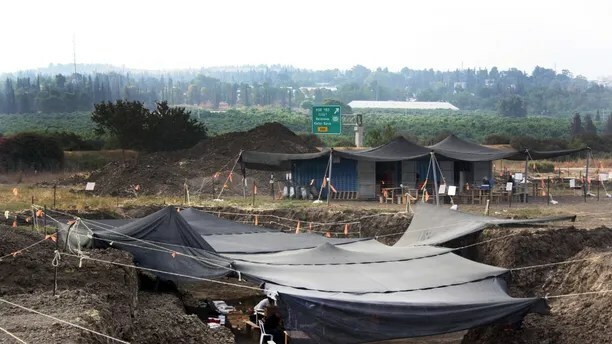 In a statement, Barkai and Maayan Shemer, who directed the excavation on behalf of the Israel Antiquities authority, described the site as a “green spot” in the landscape. The excavation offers a fascinating glimpse into the lives of prehistoric humans living during the Lower Paleolithic period. Specifically, the haul of teardrop-shaped flint hand axes is evidence of activity by Homo Erectus, a direct ancestor of modern humans. The discovery is the latest fascinating prehistoric find in Israel. In 2016, experts found the remains of 780,000-year-old edible plants, shedding light on the diet of early humans. In 2014, a 300,000-year-old hearth was discovered in the Qesem Cave near the town of Rosh Ha’ayin in Central Israel. The Qesem Cave is about 3 miles to the south of the Jaljulia excavation site. For some reason I do not understand I cannot respond to your fabulous post. You inspired further research. I enjoy what archeology tells me.